« ALERT!!!! URGENT!!! HELP FIND HER PUPPIES!!!! Christmas and New Years is a magical time for the kids and a hectic time for the grown-ups. It is also a very stressful and a very dangerous time for your companion animals. Making that living room come alive with Christmas Decorations, getting that perfect tree ready and filling your home with beautiful festive plants can pose many dangers to curious pets. Not to mention the comings and goings of family members and friends who will drop in making it far too easy for a pet to slip outside unnoticed. With these extreme temperatures that is not a good thing. precaution is to advise your guests and family visitors that you have animals in the house and that they are NOT to be allowed out unless tethered. Even better is to place your pet in another room when your guests arrive and depart, that will ensure no accidental slipping out the door or accidentally being run over when a guest arrives or leaves. A dear friend’s dog was run over by a houseguest two years ago. Please do not tie your pet outside and leave him/her there for the sake of houseguests, and convenience, the temperatures are far too extreme. 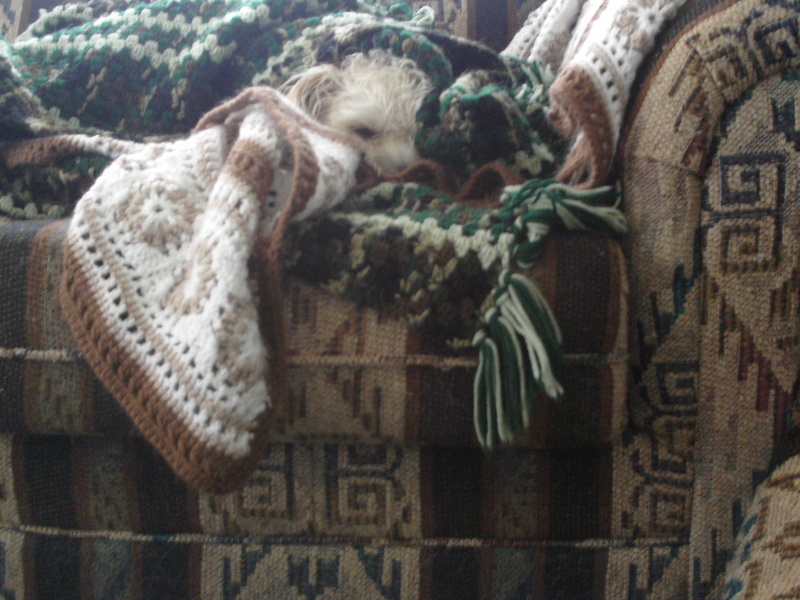 Rule of thumb: if it is too cold for you to be out there, it is too cold for your pet. Pets do suffer severe frostbite to ears, tails, noses and eyes. The damage is irreversible and many pets have lost ear tips, their tails and as in the rescued Whati puppy part of her tiny nose due to frostbite. In extreme cold blood flow decreases to the extremities, normal blood flow to legs and tails, is diverted and pumped to the major organs: the brain, lungs and heart, therefore there is a direct loss of heat protection to the feet, tails, legs and ears. In addition, the eating of snow by your pet causes dehydration, which when severe will result in kidney and liver failure that will kill any animal. Holiday activity and guests can really stress your pet out and be very frightening. Your pet can easily experience tummy upsets and sudden illness. Ensure your pet has a safe and secure place where they can hide out if need be. Remember that the holiday season is not the right time to introduce a new companion animal into your home due to the hectic pace during the holiday season. Loud noises and many strangers coming and going will make transition very difficult and often traumatic for a new companion animal. Best to wait until the festivities are over and done, when it is only family members and a quiet household allowing the newcomer time to adjust in their own fashion and you to devote the time needed to train and bond with your new animal. You can hold off until the activities are over and the house is free of hazardous Christmas decorations before adopting that new furry friend. are members of your family too. Omit holiday plants such as mistletoe, poinsettia, lilies and holly. While pretty and temporary they can be deadly to your pet if ingested. When putting up that tree, anchor it solidly to prevent it from falling on your pet and child. Tinsel while nice to look at, if ingested can wrap around the bowel of your pet, and can also block the bowel. Cats in particular are drawn to this shiny stuff. If you must use tinsel place it high on your tree. Glass ornaments which may look like toys can do terrible internal damage if ingested, place them so that your pet cannot reach them. Spray snow is also toxic to your pet and many lights that flicker on and off or change colour contain a liquid solution which can poison your pet. The blinking could also trigger a seizure if the animal suffers from epilepsy. tree holder if you use a real tree, it may contain fertilizers from the tree sap and it often contains harmful bacteria. Remember to pickup those pine needles that fall, one can lodge in a pets throat or get caught up in the bowel. Puppies have a tendency to chew, so be weary of your electrical cords. Plastic from your children’s toys if ingested can cause intestinal blockage as well as choke your pet, so putting away the new toys will save you on vet bills and toy replacement. Some toys also need batteries and the acid in those batteries will cause severe burn damage to a pet as well as poison them. Remember to pick up all that beautiful wrapping paper and pretty ribbon, that also poses a very real health risk to your pet, and get rid of those candy wrappers too. Often new boots and shoes come with small silica pouches in the box, discard those pouches before you wrap the gift, you will be protecting your pet. Chocolate, Alcohol, Onions/Garlic, Nuts of any kind, and some Fruits are highly toxic and could result in death. That little bit of turkey, skin and gravy is very rich and can result in quite a mess to clean up. Keep your normal exercise and playtime with your pet, even though you might be feeling the stress of the season. Your pet feels that same stress and the disruption of quality time with you will cause confusion and upset for them. Precautions when buying new toys for your pets just requires some common sense. Anything that is so small it can be swallowed is a no-no, it can become lodged in their windpipe and can block their intestines; avoid toys with glass eyes and noses which can be ripped out and swallowed, the backs of these things are very pointed and sharp; toys with bells inside, plastic toys that become splintered and toys with beans in them are additional no-no’s. As for treats, too much rawhide can block the intestines, and pigs ears can contain salmonella. Go for the Dental Sticks, Milk Bones, Beggin’ Strips and if you are really energetic how about some homemade dog biscuits. Have a Safe, Happy and Healthy Holiday. Our Best Wishes for 2011.